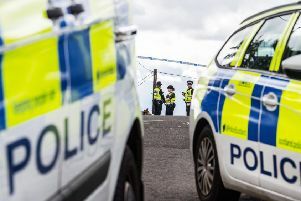 Police are seeking help in their bid to trace a driver - who wore a tammy hat - alleged to have been involved in a hit and run incident in Bo’ness. The collision happened shortly after 9am on Thursday, November 9, in Grange Terrace near the junction with Erngath Road, and luckily no-one was injured. The vehicles involved were an Audi A8 and a BMW 320, which did not stop at the scene and was seen heading towards Harbour Road. It was found abandoned shortly afterwards in the Doocot Brae area, and enquiries revealed it is still registered to a previous owner. Police are urging anyone with information about the the BMW driver - described as in his early 30’s, with facial stubble - to come forward. The BMW is described as being a distinctive light blue with the registration W751 HSO and had a smashed or missing rear window which was covered with clear polythene. Anyone with information is asked to contact Forth Valley’s Road Policing Unit via 101, quoting incident number 0726 of November 9. Alternatively, information can be given anonymously to the charity Crimestoppers on 0800 555 111.